Product categories of Compact Linear Actuators, we are specialized manufacturers from China, Compact Linear Actuators, Small Linear Actuator suppliers/factory, wholesale high-quality products of Miniature Linear Actuator R & D and manufacturing, we have the perfect after-sales service and technical support. Look forward to your cooperation! 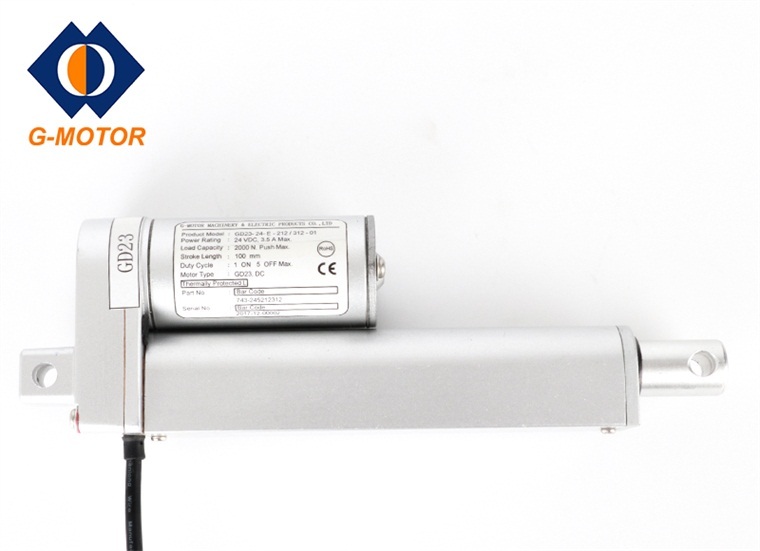 G-motor's Compact Linear Actuators can be applied for the place where requires small installed space,such as wheelchairs, treatment chairs, patient lifts or beds.G-motor's Compact Electric Linear Actuators are quiet,clean and energy efficient,which can satisfy the customer demand.Our factory also go through international standard ISO9001:2005 and ISO14001:2015,which ensure we can supply quality products for our clients. 5.Built-in protection device,which help people to use it safely.